I don't get any requests for homemade Valentines now that the kids are getting older. However, they still enjoy the Valentine's Day treats I make them. Normally, they get a small gift and some candy. 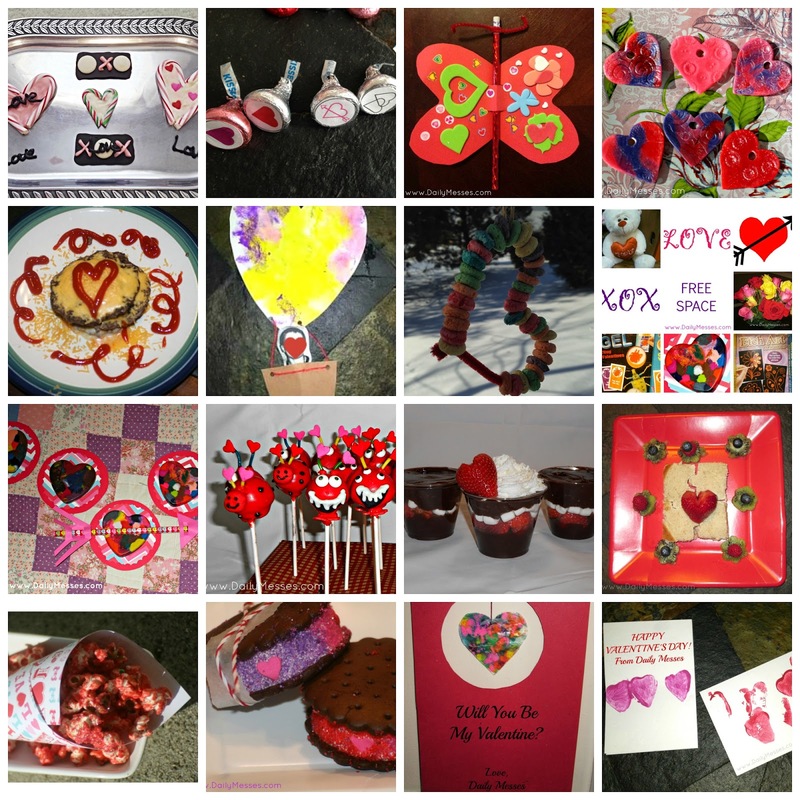 I usually make a treat for the holiday as well (themed cookies, candies, pudding...) If you want any ideas, I have a list of Valentines, Food, Crafts, Gift, and Activity ideas below. If I come up with any new ones, I'll update the list! Goldfish or gummy fish in a fishbowl shaped baggie with a "school" type of message. The premade bags can be hard to find and making the bags can be a little time consuming (click for directions). If you use a regular bag, you can cut a bowl shape piece of paper, write the message and place behind the fish. Bouquet of egg carton flowers. Works as a craft, decorations, and could also be a Valentine (write on the petals or leaves, use single flowers or make a bouquet...). The boys like to help make the Peanut Butter Pumpkin Dog Biscuits for our greyhound. We use heart, star, and pumpkin cookie cutters to make the shapes. *If you buy an item using the links, I may receive a small commission for the referral. It does not affect your cost at all! If you want, you can read my Disclosure page for a little more information.